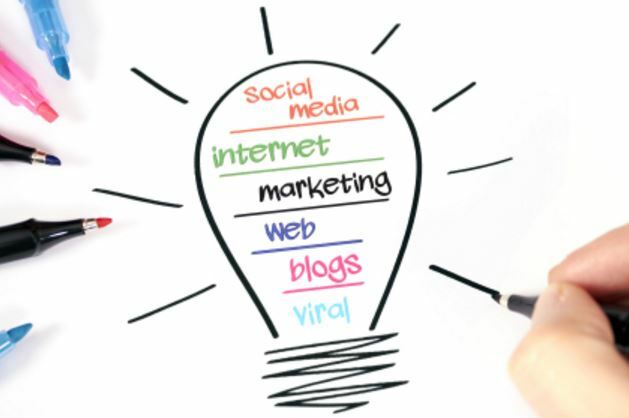 Online marketing strategy is a must! That is what everyone is told to believe and by whom? The answer is easy: webmasters that don’t know how to market on the Internet. Here you will learn about what it takes to market your business on the web and why. 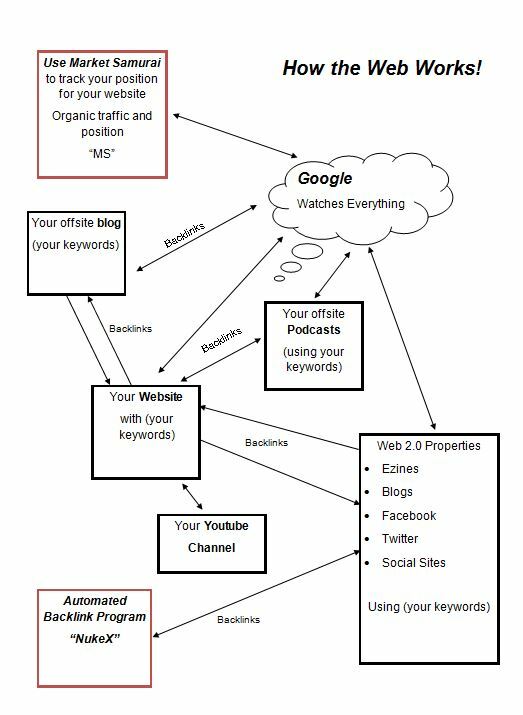 It will be an overview so you don’t get overwhelmed; but you will come away with what it takes to be successful on the Internet. First, there are keywords. What are they? Keywords, and we have several articles on http://www.infocard.cc, that talk more in-depth about keywords, but keywords are the words that people would use to find your website. Think about it… when you go to Google or the like, and you want to find some product, service, or business; you type in something. That is a keyword or key-phrase and that is what your website needs to have in order to be found. There are tools that must be used to find keywords you can actually rank for, so see our article on that when you are ready. These keywords must be found scientifically by using a good keyword search tool. 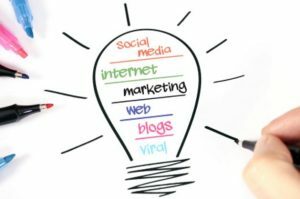 Then they must be placed in eight locations on your website and used across your social media with links back to your website. Second, there is social media. Most popular and important are blogger.com, YouTube, Google +, LinkedIn, Facebook, Twitter and Pinterest. Let’s look at each one individually. Blogger.com is an offsite (not on your website) blogging platform. It is fantastic and fairly easy to use. Why use it? It is owned by Google.com. Google needs fresh content to serve to search requests and what better way is there than to search their own properties for this fresh content. Great place to use your keywords on your posts and link back (backlinks) to your website. YouTube.com is a great place to put your videos and link them back to your website. You can also use your keywords on YouTube (tags); plus this property is also owned by Google.com. Another great place to be seen by Google to get rankings for your keywords. You can also embed your videos on your website for free plus embed them in your Blogger.com blog! 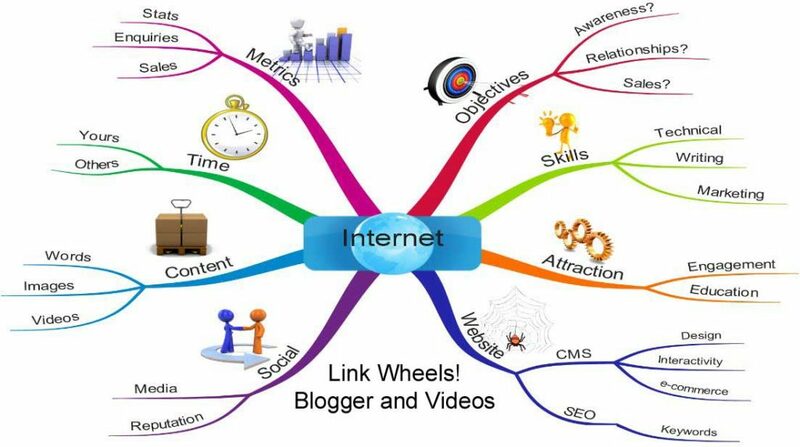 Great links and creates a link wheel which Google loves. Google + is also, you guessed it a Google property, that it scans for fresh content. A must to help you get ranked for your keywords. Google + is Googles answer to Facebook so use it like that and open up another whole set of friends/followers to consume your website information. LinkedIn is also great, if you are a professional. It works much like Facebook and Google +, as you post to your timeline on LinkedIn, which anyone who follows you will see your posts. You can place your blogger posts there too! Facebook is another great place to post your blog posts plus videos, and in the near future Google will be looking at Facebook posts for search results. Twitter is also a great place to place your blog posts and again they are talking to Google to allow them to “spider” twitter for content. Finally there is Pinterest… which is 60% women users so if your product is pointed at women customers, a gold mine it is! Pinterest is a “visual” search engine so have great pictures or info graphics ready to go! Third there is podcasting (audio or video however video is best) to be used on your website and across your social media. People like to watch and not read these days so give them what they want. Google and Facebook love videos to so it’s a natural place to put them and get backlinks.